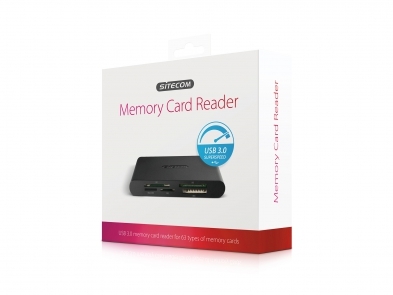 The MD-061 USB 3.0 Memory Card Reader from Sitecom lets you read and write 63 types of memory cards. The card reader works with SD, microSD, CF, XD and Memory Stick cards. Transfer pictures, videos, music and documents from your memory card to your computer with SuperSpeed USB 3.0 transfer rates of up to 5 Gbps, up to 10 times faster than Hi-Speed USB 2.0. The MD-061 USB 3.0 Memory Card Reader is backward compatible with USB 2.0 and USB 1.1 and is fully Plug & Play out of the box. 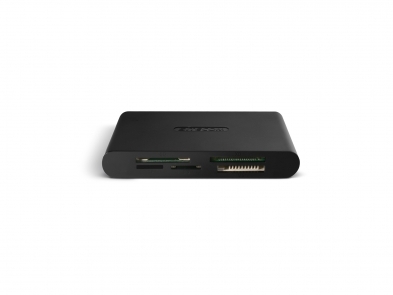 Simply connect the card reader with the included 100 cm USB 3.0 cable to a free USB 3.0 port of your computer, no drivers needed. The card reader is compatible with all operating systems.